What Do School Playgrounds Around the World Look Like? Do you change classes for math or for any subject? Is your playground really, really big? Do you all eat in your cafeteria at one time? 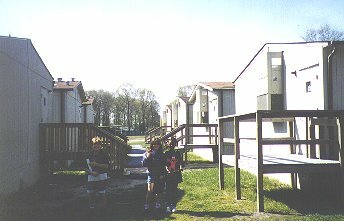 Do you have any portable classrooms? Do you have kindergarten and pre-K classes? How many grades do you have? What subjects do you have? 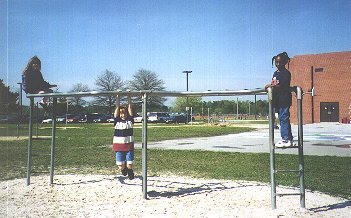 Do you have recess everyday? 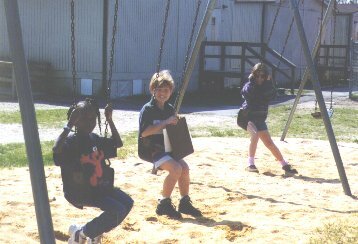 collect information about playgrounds and recess time. from schools around the world and. make charts with the facts about your playground. make some conclusions about the facts we gather. The students will soon tell you about our portable classrooms that are in the back of our school. 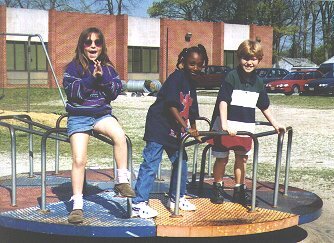 We went outside to see our little and big playgrounds and Mrs. Weeg took pictures of us. Some things are the same on both playgrounds. My favorite thing to play on is the swings. 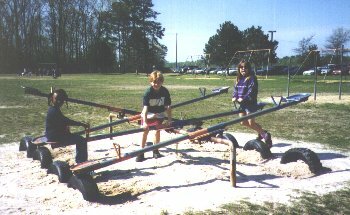 Tell me what is on your playground if you have one? See Isamu's playground in Japan!! We have questions for Mr. Isamu and his students about their playground. Temperature charts - Thanks Isamu! Do you eat lunch at school? - our friends in Argentina answer. Our friends in Argentina - pictures! Artists in Argentina - drawings! Hi , my name is Nadia. I am turning 11 next July 4th,(the American Independence Day). I live in Mar del Plata, Republica Argentina. This is what I do at school at breaktime. 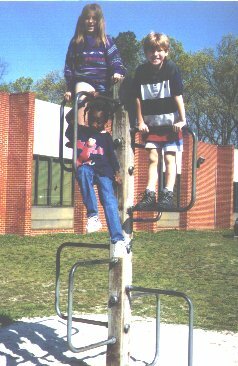 There are four playgrounds : one is on top of the building, the others are on the ground floor. ( First floor). The biggest playground is roofed, the others are outdoors. We have a sandbox with some buckets and rakes.It is for the younger kids. My friends and I have got a basketball ground and a football ground. 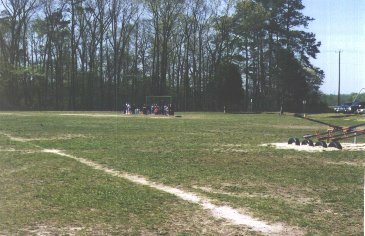 Then, we also play baseball. We have a cool time at breaktime at school. I am Juan Ariel. I am 9 years old. I am from Argentina. In my school there is a basketball ground and a football ground. In another ground we play tag and hide- and- seek . 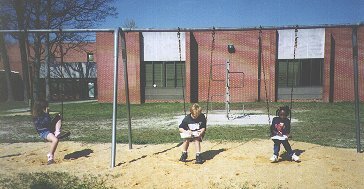 There are no swings in my school. We have not got sliding boards or see- saws. I think my school playground is not very interesting. Don't you think so? It is a private school.I have a good time playing with my schoolmates. 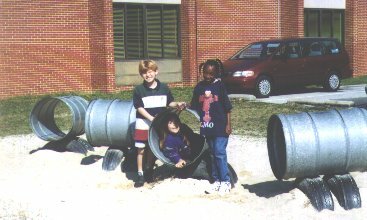 There are three playgrounds in my school. One is roofed , for cold or rainy days. The other one is with no roof for warm and sunny days. The third one is for the students of the Secondary School. You see, I haven't got many things in my school playground but I can tell you about the floods in all Argentina. There was a storm in my city, Mar del Plata. It has rained for five days whitout stopping; a heavy rain, indeed! It was terrible for us, specially for the people in poor towns, the floods were terrible and the owners of fields are very worried . Yesterday a tornado almost arrived at our city and some parents took their kids from school and went home. But fortunately the tornado stopped on Mar Chiquita, a place near Mar del Plata. Today we didn't go to school because the day was terrible. e-mail soon. In the playground of my Argentinean School there are dreams and hopes. At present, I can picture in my mind a huge merry- go - round where education, ethics, insecurity and water are whirling round us. If I stop it , what would happen to my dreams and hopes? They would go down the sliding board, but I would grasp to a monkey cage because I do not want to get drowned in the waters of our immense flood. I have to scape from all this junk and go into the tunnels and maybe, at the end of the hole I will see another reality, where everything is perfect , but I think that is very far from here. Dirty people of this country are playing on the seesaw ; but it does not move , they are above cheating us with their feet on the ground and trying to leave people, good and working people, down below in our flooded country. They also play in the football field , treating us like a ball, kicking us and on the other hand , in the basketball court they are bouncing us. Perhaps, one of those bouncings could lift all the Argentinean barefoot children who are with their feet into the polluted water.